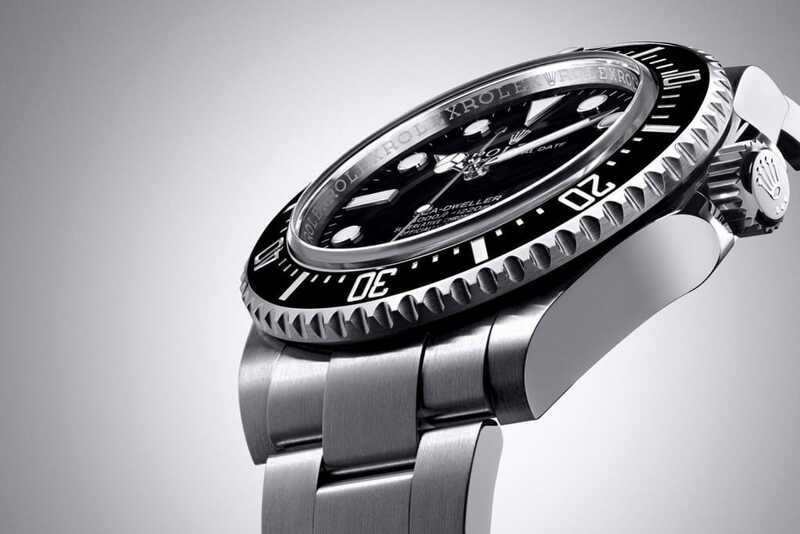 The quintessential deep-sea diving watch, the Rolex Sea-Dweller, plunged onto the scene in 1967 with an unprecedented waterproof depth of 2,000 feet. A little over a decade later, in 1978, Rolex presented a new Sea-Dweller, doubling the depth that the watch could remain waterproof for, at an incredible 4,000 feet. Creating a timepiece with resistance to this astonishing amount of pressure was achieved as a result of Rolex’s groundbreaking Helium Escape Valve. 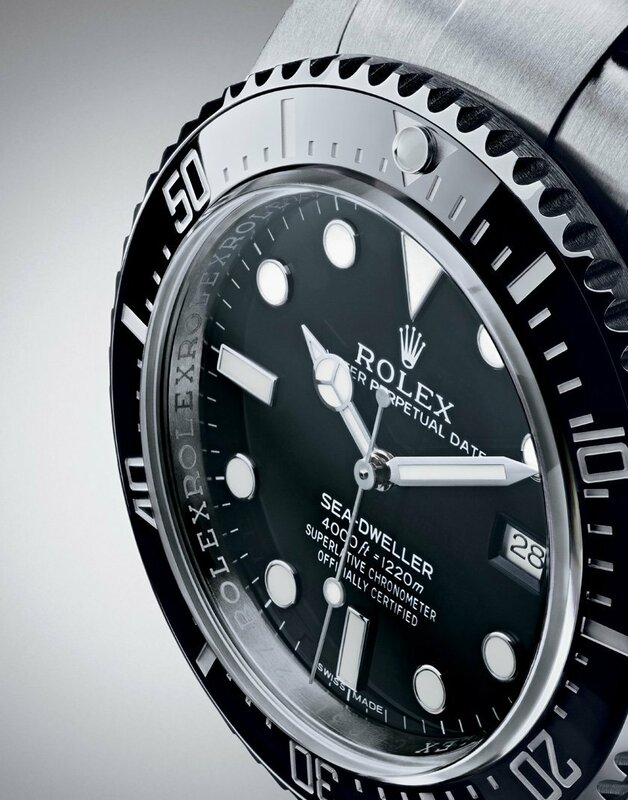 In 2014, Rolex released their latest interpretation of the legendary professional diving watch with the Sea-Dweller. The diving instrument’s 40mm Oyster case is fashioned from 904L steel – a robust material that is especially strong and corrosion-resistant, yet elegant thanks to its high sheen look. The unidirectional rotatable Cerachrom bezel insert in ceramic is exceedingly resistant to scratches and ultraviolet rays, while the Chromalight display on the black dial – with long-lasting blue luminescence – allows for ease of legibility. The flat three-piece links Oyster bracelet is also constructed from 904L steel and is naturally outfitted with Rolex’s Oysterlock safety clasp and the Rolex Glidelock extension system for security and comfort. Divers who descend to extreme depths need to breathe a special blend of artificial gases – including helium – to survive their marine environment and then must undergo a long decompression process to safely eliminate those gases from their bodies to avoid injury or fatality. Much like a diver, a timekeeping instrument exposed to helium and other gases are required to decompress prior to resurfacing to avoid damage to the watch from differences between internal and external pressure levels. 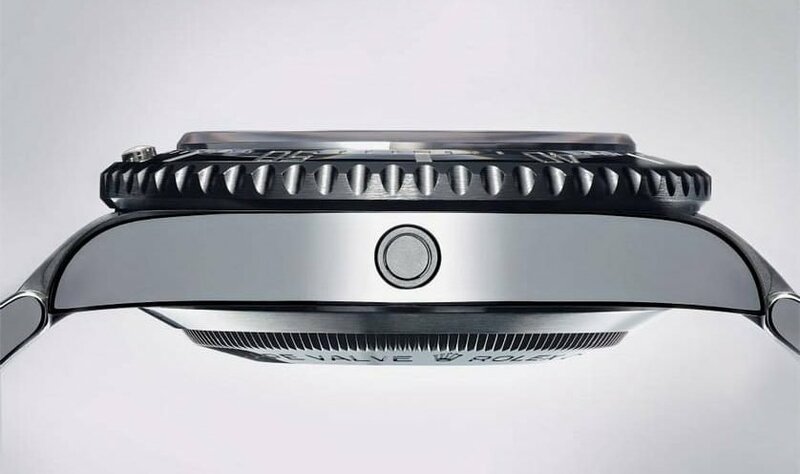 To tackle this problem, Rolex introduced the proprietary Helium Escape Valve allowing the gas to escape from the Sea-Dweller without compromising the watch’s waterproofness. 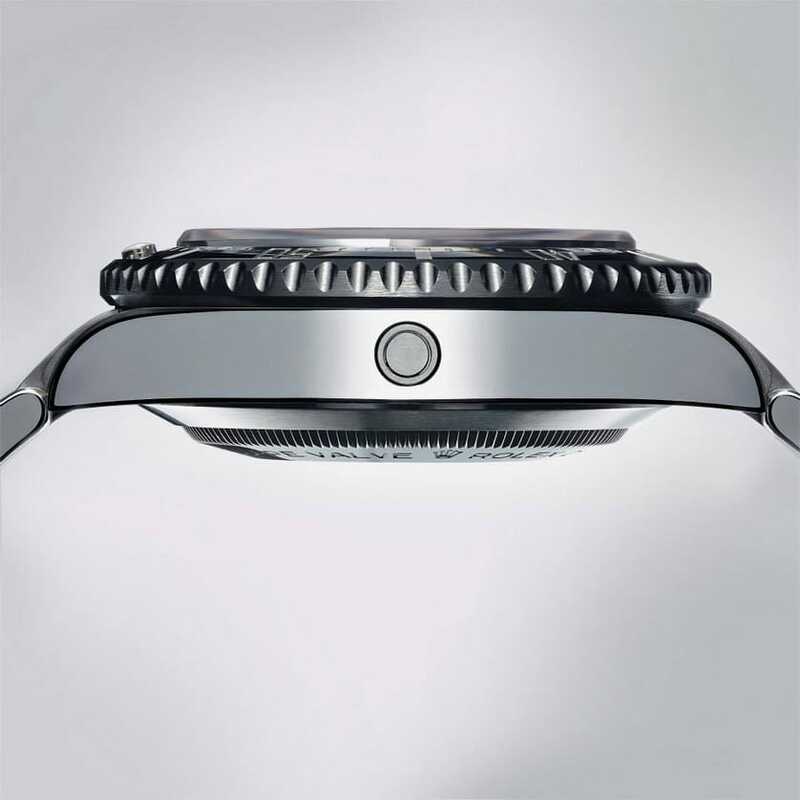 The ingenious mechanism is automatically activated once a certain level of internal pressure is present within the watch. Within the case of the Sea-Dweller 4000 lies the Rolex Caliber 3135: a perpetual, mechanical, self-winding movement with center hour, minute, and seconds hands, instantaneous date with rapid setting, and stop-seconds for precise time setting functions. Plus, in combining the watertight Oyster case with the Helium Escape Valve, the Rolex Sea-Dweller 4000 is waterproof to 4,000 feet. 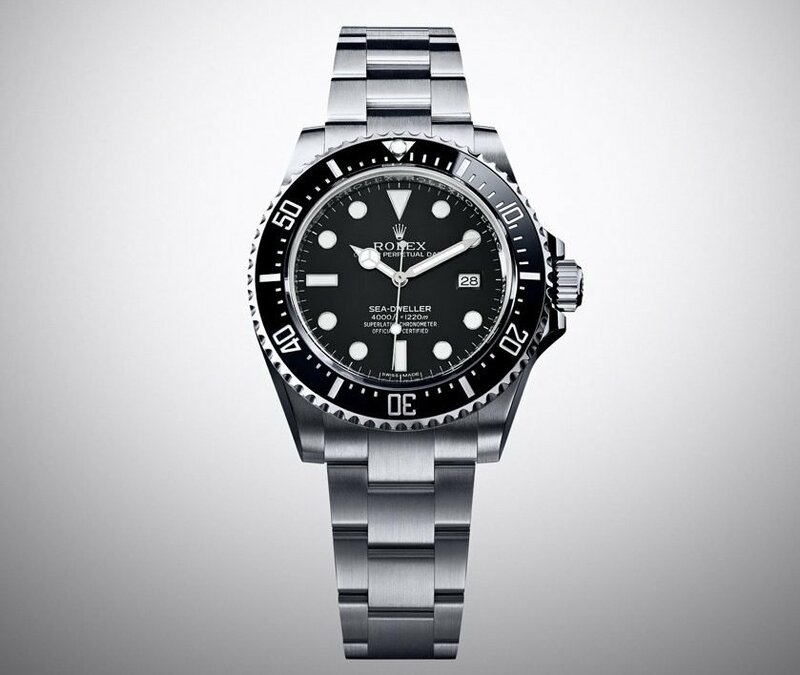 The Rolex Sea-Dweller 4000 is sure to see some of the deepest parts of the water. A diver’s timepiece is a vital companion when underwater as every second counts for one’s survival in such arduous environments. The preciseness, sturdiness, and waterproofness of the Sea-Dweller makes it worthy of its label as a professional diving watch.